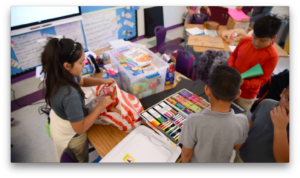 Create Now provides music, writing and visual arts programs at a number of Title 1, continuation and charter schools with limited (if any!) arts education. 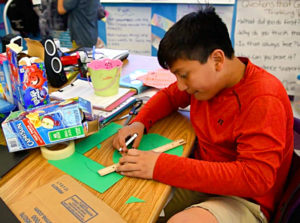 We’re excited to continue our collaboration with Camino Nuevo Jose Castellanos Elementary School this semester where most of the students are English Language Learners. 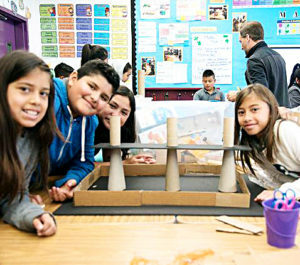 The fifth graders love our unique Create a City Now workshops taught by Brian Yanish. 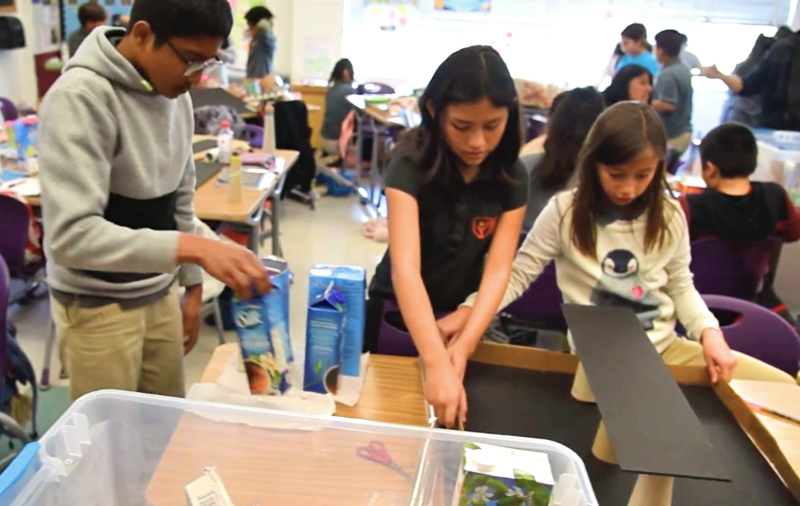 They’re bringing in “found objects” from home, like milk cartons, plastic bottles and egg crates that are recycled so the students can design their very own communities. 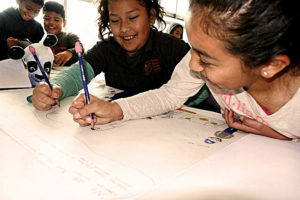 The kids work in groups, which builds teamwork, as they stretch their imaginations while learning about the environment, city planning, alternative energy and conservation. Some of the city names include “Tropical Island Paradise,” “Wonderland” and “Unicorns Play Soccer.” There are two “New York Cities,” one with a shoe box that’s been turned into a five-star hotel. All of the fourth graders are painting individual murals that are tributes to their heroes with teaching artist and iconic Los Angeles muralist, J Michael Walker. Later, these will be combined for larger murals. Victoria’s hero is her mom because she cooks, pays the bills and picks her up from school. She feels lucky that she has a roof over her head. 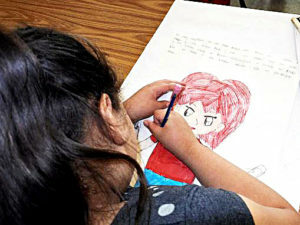 Teacher Mr. Guzman said, “Many of these children have a lot of challenges in their lives. Drawing and painting is their only release. Please don’t take this away from them.” Create Now is delighted to continue providing our wonderful students with innovative arts education programs.